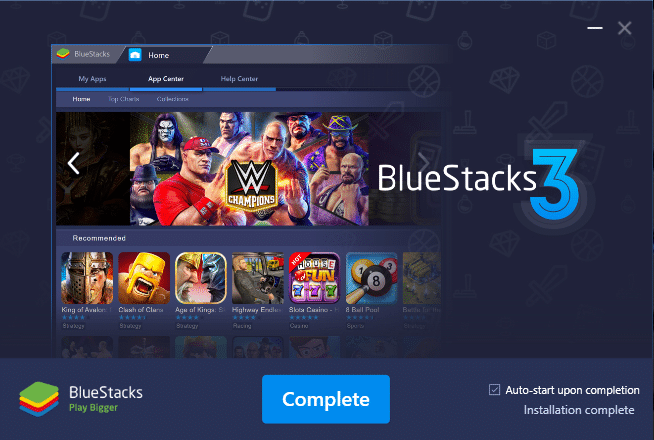 With a tagline like “Play bigger, play more”, you can be certain that Bluestacks has provided a welcome shift in technology. With every passing second, it seems like the world of Android has something new to offer. However, Bluestacks emulator is the best invention of the bunch. For the first time, you do not need an Android device to run apps. You can now play your favorite games or send messages on platforms such as Whatsapp through this popular Android emulator. Given the number of exciting applications that Android offers, running then through Bluestacks is the best option. It is an incredibly useful emulator for anyone who wants to try a new application without damaging their phone or simply want to play mobile games on a bigger screen. Bluestacks does not disappoint! Bluestacks is an emulator that enables the installation of Android applications. Founded in 2011, it has pushed the boundary of mobile gaming. This is a software that turns your computer or laptop into an Android device. It uses a virtual Window over Windows to run Android on your personal computer. So whenever you open the Bluestacks player on your PC, it will let you experience the full Android environment. Although Windows does not support APK files, this emulator makes it possible to enjoy the big screen in an incredible way. This is the best place to find Android games that can be enjoyed on your PC. Once you click on your game of choice, Bluestacks will instantly provide information on a game including its reviews and summaries. Apps Center also recommends the games that you would like. Bluestacks has a gift center that offers special characters, skin, gems and hundreds of gifts that are found in a variety of games. There is no shortage of excitement here. This is a developer-focused program where games can get exclusive gifts that come directly from developer games. 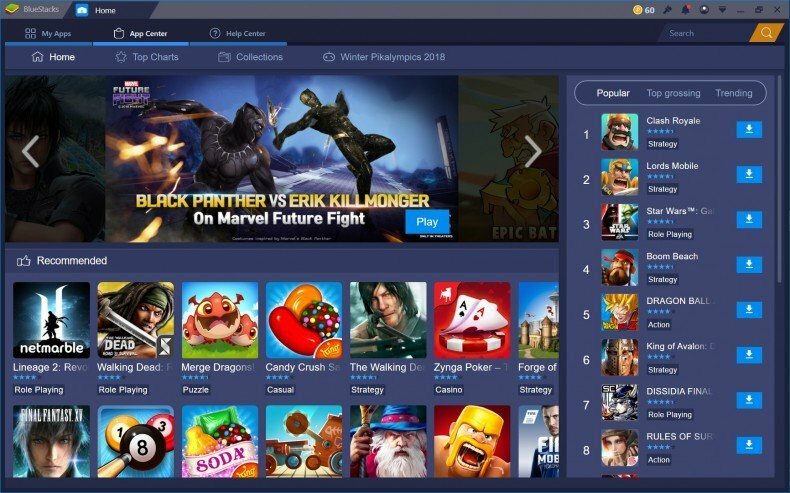 Although your phone allows you to use only one application at a time, Bluestacks has a multi-instance function that makes it easy for you to play multiple games as well as maneuver applications, all at once. As such, you can play a ton of games at the sometimes. The Bluestacks emulator is a useful tool for trying out Android apps because of its user-friendly interface and amazing user experience. Bluestacks is very easy to use. You simply have to access your Google account, go to the play store and install the apps that you want to try. You can use the Android apps of your choice on different window versions. Bluestacks is available freely on the emulator’s website. However, when downloading and installing Bluestacks, you need 2GB of RAM and 9GB of disk space. If your personal computer or laptop does not have sufficient space, then you will be required to delete unnecessary files. Bluestacks runs best when the application communications of the app store is enabled from your settings. 5. When the installation process is complete, you should be able to download and install the emulator. Remember, Bluestacks is available for Windows as well as MAC. It does not offer any option for changing the install directory and the emulator automatically installs on your boot drive. Bluestacks is characterized by a hassle-free installation. By logging into your Google account once the installation process is complete, it will be possible to select the apps that you want without any fuss. 1. Go to emulator search box and find your chosen app. 2. Find results from the Bluestacks app market. To do this, a thorough search is conducted. If you find that the application you want to download is not in the apps market, simply download the APK version of the file for the app you want and install it manually. Set the file to open in Bluestacks and download the application to your PC. Bluestacks will then allow you to access the app at any time. This is the convenience that comes with using this emulator.